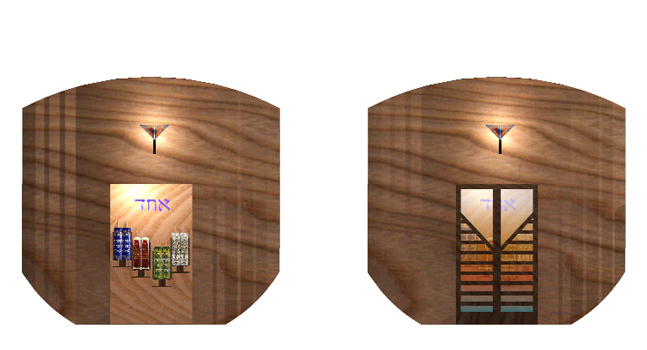 Two views of the ark show the stepped and curved face and the ark doors with some transparency to the inside. 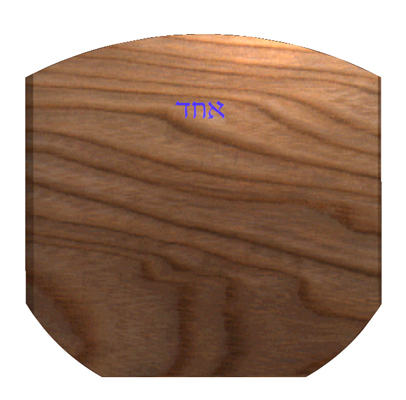 Above, the planned dimensions for the convex ark doors are 64" x 98". 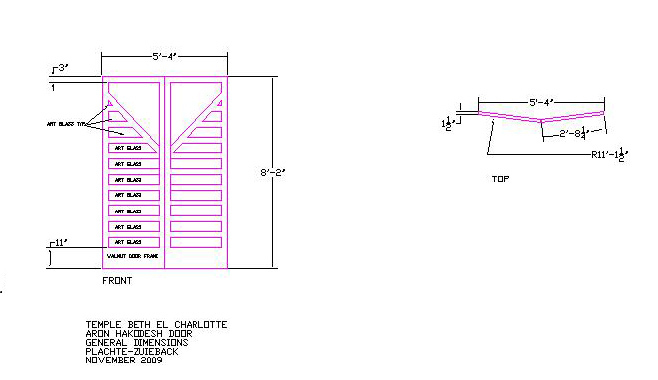 In the views below, the ark doors have been resized to fit these planned dimensions. In these orthographic views of the front of the ark, above, one can see the word Echad, cut into the false wall behind the Torahs, allowing light, from an artificial source inside the ark, to pass through glass set in the letter-shaped openings, above the Torahs. Echad is visible through the glass ark doors when they are closed, as well as when the ark is opened. 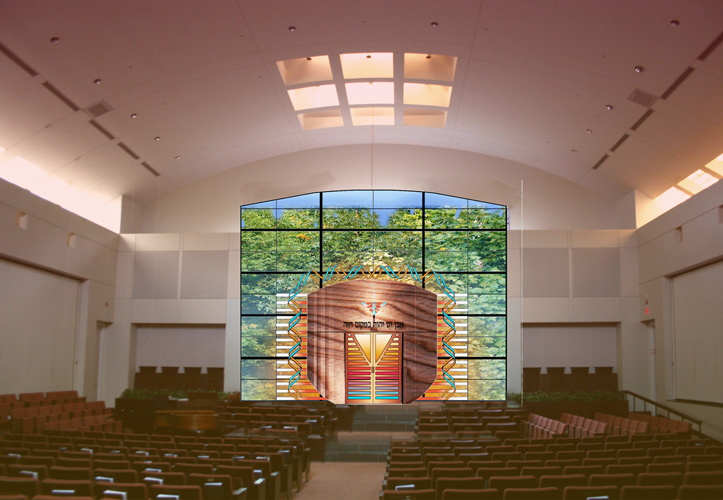 In another enhancement to the design, a word, in this case, Echad, is punched through the back of the ark, allowing light from the inside of the ark to penetrate, in color, to the rear, where it would be visible to someone standing behind the ark and also visible through the window, from the park outside the sanctuary window. The sculptural quality of the ark may be seen in the sequence of views above.